Enjoy the essence of Christmas spirit by celebrating the holidays at the Promised Land Zoo in Branson, MO. The Let There Be Lights celebration allows guests to partake in several holiday-themed activities and events. With the two-mile Let There Be Lights drive-thru tour, guests can create brand new holiday traditions and family memories along the way while seeing stunning lights. Then, they can head to Candy Land Court where they'll be able to sip hot chocolate, see Santa and his herd of reindeer, and more. During the day, the zoo is running in its normal fashion allowing guests to see beautiful animals that call the zoo home. However, after dark, the zoo comes to life in a winter wonderland. 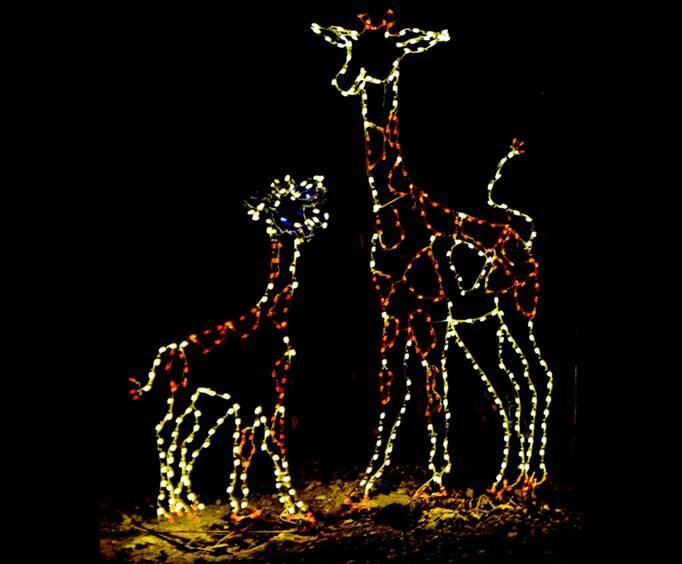 Open from 5:30 to 11:00 PM, the zoo transforms into a Christmas light extravaganza. The Christmas lights are set up in a drive-thru fashion which allows guests to cruise along and see the stunning displays from the comfort of their own cars. During this drive-thru experience, visitors of all ages are sure to have a blast as they experience two miles filled with thousands of sparkling lights. To truly become surrounded by Christmas cheer, guests can tune their radios to 106.9 K-KLAUS for their favorite Christmas music. Sing along with carols while exploring the LED light park and enjoying the company of your family. The drive ends at the Candy Land Courtyard, where guests can enjoy holiday cheer and festive adventures. Have you ever wanted to see a reindeer in real life? This holiday season, guests can see a herd of beautiful reindeer at Candy Land Courtyard at Branson's Promised Land Zoo. 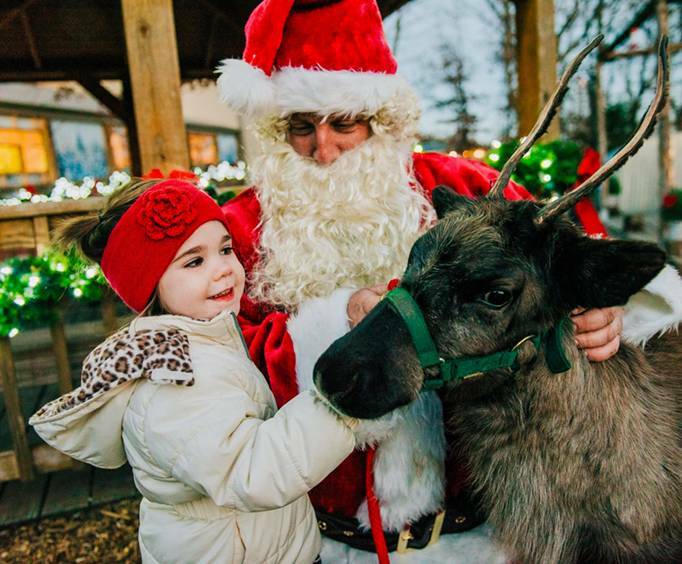 As well as being able to see reindeer, kiddos of all ages can also visit with Santa Claus. They can get their pictures taken, tell Santa what they want for Christmas, and make unforgettable memories interacting with their favorite Christmas figure. The real meaning of Christmas is all about Jesus and his birth. Visitors to the Promised Land Zoo can see a live nativity scene where they can interact with awesome animals. Everyone is sure to enjoy this fantastic event. Some of the pettable animals include a baby camel, water buffalo, goats, lambs, and a donkey.